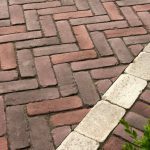 This is how the first pavers were manufactured. 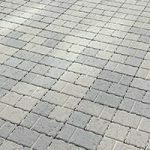 The product mix of large and small aggregates is consistent, from top to bottom, with color mixed throughout. 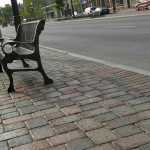 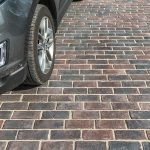 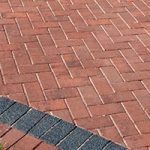 The Unilock Classic pavers we manufacture exceed all ASTM standards for quality and strength. 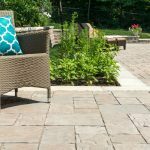 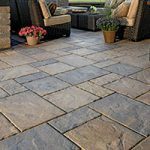 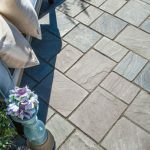 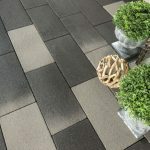 They’re available in traditional paver shapes and a variety of textures including smooth, dimpled or tumbled. 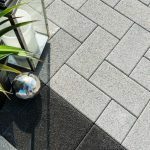 Facemix products are manufactured in a two-step process which combines a base of coarser aggregates for a stronger foundation, with concentrated color and wear-resistant finer aggregates on top. 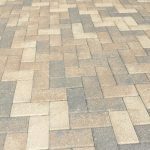 Facemix products are commonly marketed as ‘fade-proof’ because the top layer of concentrated color prevents lighter color aggregates from ever showing through. 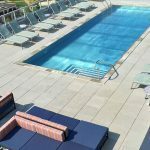 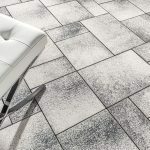 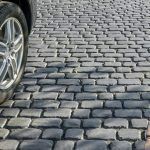 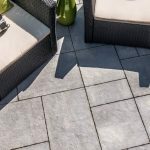 Unilock’s new Tribeca Cobble pavers have the look of the beautiful imported granite cobble stones used in North America’s streets for centuries. 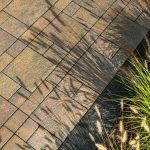 A natural cobble appearance, dimensional accuracy, along with an EnduraColor finish, makes Tribeca an excellent choice for your project. 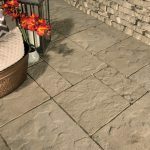 These slabs are ideal for pedestrian applications on grade or roof deck applications. 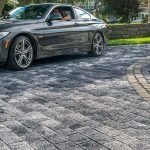 Available in a standard thru-mix finish, or you can upgrade to the Smooth Premier, Il Campo®, Serie™ or Umbriano® finish to ensure that the product color will not fade under UV light and extreme weather conditions. 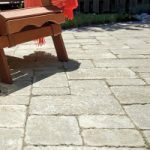 This product can further be enhanced adding EasyClean Stain Resistance for easier cleanup of spills. 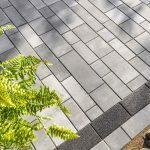 Clean, sleek lines are essential to any modern design. 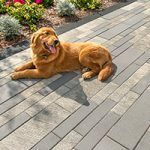 Choose the size, finish and color from our Promenade Plank Paver series for long narrow paving ‘planks’ to create a dynamic linear aesthetic to complement any design. 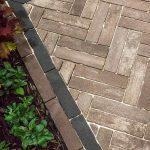 Important: Promenade™ Plank Paver is not inventoried but is produced on demand for your project.